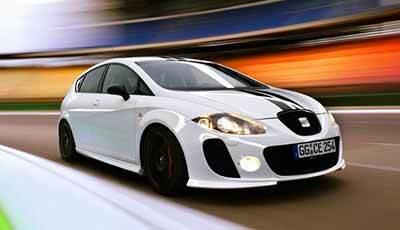 The Seat Leon FR is a great car and delivers an impressive 170bhp from it’s 2.0TDi engine. This is the sportiest model currently on the market with lowered and stiffened suspension. As sporty as it is, it still manages to achieve an average of 55.4mpg and 670 miles on a full tank. However, it does have it’s flaws. If you’re an owner, you’re probably aware of the common DPF fault within the exhaust system. The DPF (Diesel Particulate Filter) is designed to trap harmful gasses ie particulate soot matter and then burn them off at high temperatures to stop them exiting the exhaust into the atmosphere. Check out our article on DPF Removal Procedures to learn more about the Diesel Particulate Filters. The vehicle is manufactured with a DPF and not suitable in it’s factory state for local town driving, it must be driven on a dual-carriage / motorway at least twice weekly (dependant on weekly mileage) for a consistent 20-30 minutes to enable the DPF to regenerate. However, a regeneration is not always successful and eventually will lead to a blocked DPF which will result in loss of power and the car going into LIMP Mode. Driving Style – not for town use. When the DPF is blocked, we do not suggest driving the vehicle unless driving to and from a workshop to have the DPF problems rectified. You must drive in lower gears and high revs, keeping the revs above 2000rpm to help with exhaust gas flow and reduce the chances of further blockage and damage. Fault Codes: P242F, P2002, P0471, 18434 & 08194 etc..
Modern VAG diesels such as the FR should be regularly serviced with 5w-30 Long Life (Low-Ash) oil, it’s a little more expensive but will help to aid successful regenerations and help to maintain the DPF. If the vehicle is on a regeneration cycle, you must continue to drive at a constant speed of 30-40mph – keeping the revs at 2000rpm until the regeneration is completed. Failure to do so will block the filter up a lot quicker. When the DPF is blocked beyond successful regeneration, a replacement filter is not cheap at all and can cost in excess of £1000+ (parts, labour & programming). If you are thinking of replacing the filter as a pose to removal, we always recommend using GENUINE filters only. Aftermarket filters (copy/pattern parts) although Type Approved will not deliver the same quality and you will find you will have a blocked DPF again sooner than expected, being out of pocket and back to square one. With having done over 2000 DPF Removals we are the UK’s leading and most experienced DPF Removal Specialists. After having the DPF Removed, your vehicle will NOT lose power, you will not experience DPF related warning lights or any regeneration processes ever again! – We will reprogram the ECU to completely deactivate the DPF system as though it was never there and at the same time cancel out the regeneration processes. Each DPF Removal we do is programmed manually with a Custom remap and a FREE smoke-correction service which guarantees the vehicle will not smoke as a direct result of the DPF being removed. This is a service only offered by Sinspeed. A new DPF (Diesel Particulate Filter) will range from £800.00 – £1500.00 (+Labour & VAT). We can remove the entire DPF for a fraction of this cost and you’ll never have to worry about it ever again. 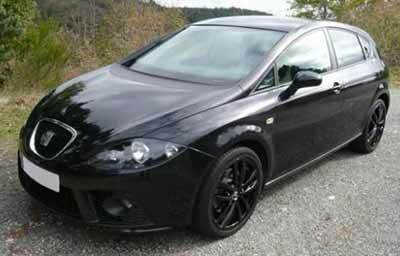 Tags : Seat Leon 2.0TDI FR 170 DPF Problems, Seat Leon 2.0TDI FR 170Bhp DPF Blocked, Seat Leon 2.0TDI FR 170Bhp DPF Delete, Seat Leon 2.0TDI FR 170Bhp DPF Problems, Seat Leon 2.0TDI FR 170Bhp DPF Regenerations, Seat Leon DPF Removal, Seat Leon DPF Removals, Seat Leon FR DPF Removal.